Did you know that both drinking places were established in 1997 in Quezon City and both are family-owned? Though not much of a beer drinking country—it ranks only third in Southeast Asia in terms of per capita beer consumption—the Philippines widely celebrates Oktoberfest, the annual beer festival from Germany. San Miguel Brewery, which makes nine of every 10 beer bottles or cans sold in the country, for example, sponsors massive open-air beer garden parties in various parts of the country during the month, using live music and delicious food to draw guests to drink beer all night. For the rest of the year, most people simply congregate in hundreds of beer joints that abound near their places of work or residence. In this infographic, we take a look at the entrepreneurs who founded at least two of the biggest chain of beer joints in the Philippines: Gerry’s Grill & Restaurants and Giligan’s Island Restaurant & Bar. These two leading beer houses have a lot in common. For instance, both drinking places were established in 1997 in Quezon City, and both are family-owned. However, Giligan’s was the first to incorporate, in 2000, while Gerry’s Grill took sometime later, in 2004. 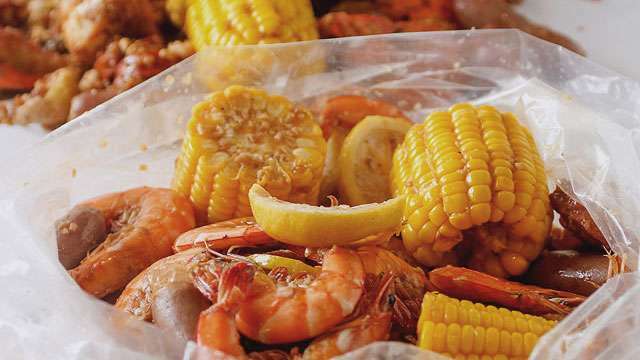 The Apolinario family, headed by Gerardo, the namesake of the brand, owns Gerry’s Grill. Gerardo sits as the president of Prime Pacific Grill Corporation, which also operates the brands Gerry’s Plus, Ramen Sora and Yakitori Bincho-Tan. Meanwhile, the Alquiros family runs Giligan’s, under the corporation Alquiros Food Corp. Between 2005 and 2012, Giligan’s has consistently reported higher revenues than Gerry’s Grill, but not by much. That changed in 2013 when Giligan’s revenues surged almost 90 percent to Php124.6 million, which was already double that of Gerry’s revenues of Php59.4 million that year. But in terms of profits, Gerry’s has been consistently posting higher net income than Giligan’s. It widened its lead in 2015 when its profits reached Php49.3 million or 13.6 times more than Giligan’s net income of Php3.6 million. It was also in 2015 when Gerry's exceeded Giligan's revenues for the first time, when it reported Php117.6 million in revenues--14 percent more than Giligan's' Php103.12 million. Gerry’s has also outpaced Giligan’s in branch count. As of October 2017, Gerry’s listed 95 branches worldwide in its official website. This includes 89 local outlets and six stores overseas: three in USA (Artesia, Hawaii, Union City), two in Singapore (Cuppage Road, Makan Sutra) and one in Qatar. 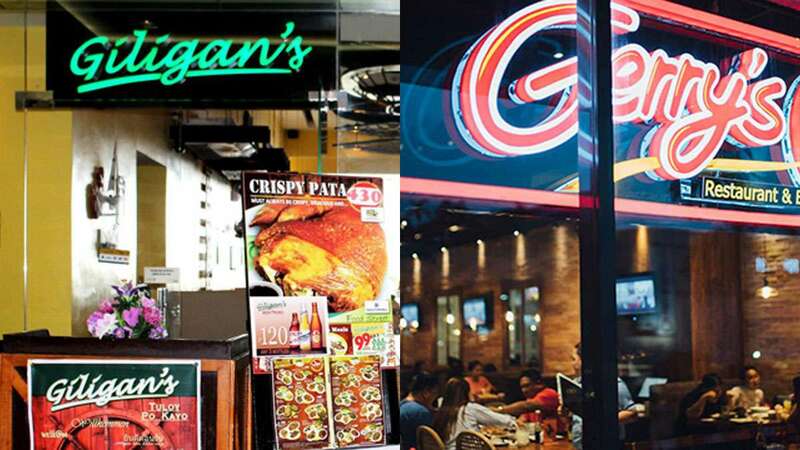 Although Giligan’s has also been aggressive in expanding over the years, it still hasn’t put up a store outside the Philippines. As of October 2017, the brand has 80 stores in its portfolio, spread across Luzon (73 branches), Visayas (4) and Mindanao (3). Of course, another major beer joint chain is Dencio’s Bar and Grill, which was founded by Dennis Nakpil in 1991. In 2004, Max’s Group Inc., the country’s largest casual dining restaurant group, acquired the Dencio’s brand. Since most of the brand’s revenues are now reported as part of consolidated group’s revenues, that makes it hard to gather data on Dencio’s financial performance as a separate brand. Dencio’s website listed a dozen branches. One of these branches, located in Harbor Square near the CCP Complex in Manila, is being managed by a company called DFSI-One Nakpil, Inc., a joint venture between Max’s Group and the Nakpil family that originally owned Dencio's. The joint venture company reported revenues of Php51 million in 2015 and net income of Php1.4 million.